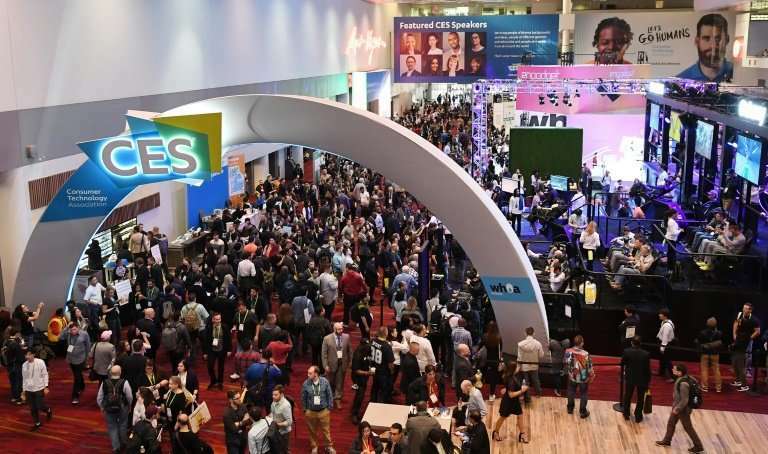 The 2018 Consumer Electronics Show, which concluded Friday in Las Vegas, drew some 4,000 exhibitors from dozens of countries and more than 170,000 attendees, showcased some of the latest from the technology world. The duel between Amazon and Google for supremacy in artificial intelligence played out at the show. Amazon pushed its "Alexa Everywhere" strategy bringing its digital assistant to eyewear, wristwatches, televisions and even a toilet. Not to be outdone, Google counterattacked with deals of its own, and with a massive ad campaign including a two-story "Google Assistant Playground" complete with a spiral slide from the roof to the pavement. The rival virtual assistants were part of a larger trend to "smart" homes and cites where door locks, lights, security systems, traffic, and more are commanded or coordinated with the help of internet connections and machine brains. Tech developers began moving beyond artificial intelligence to "emotional intelligence" and empathy with robots that can recognize people and their feelings, and respond in a more human manner. Those on display included a ping pong-playing robot from Japan's Omron Automation which adapts its game to its opponent by reading body language. 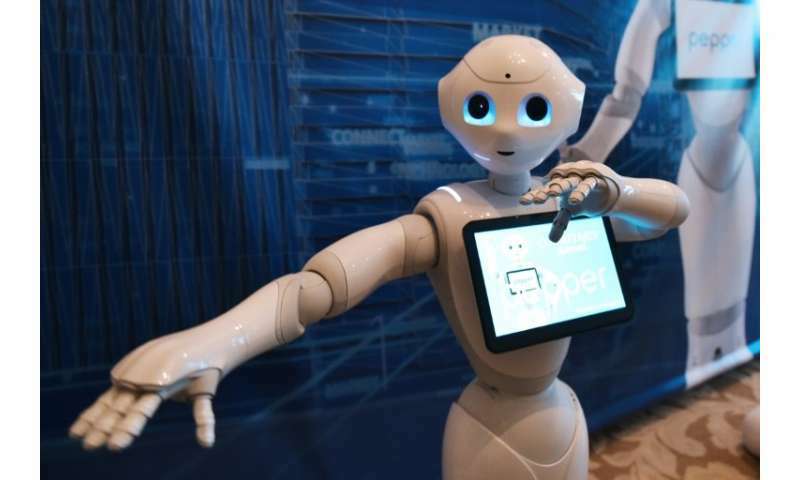 SoftBank robot Pepper entertained guests in a private suite adjacent to the show. More players began gunning for Tesla with premium electric cars, including Chinese startup Byton and a revamped startup led by designer Henrik Fisker. The show included a large presence from automakers and showed a commitment to advancing self-driving cars. 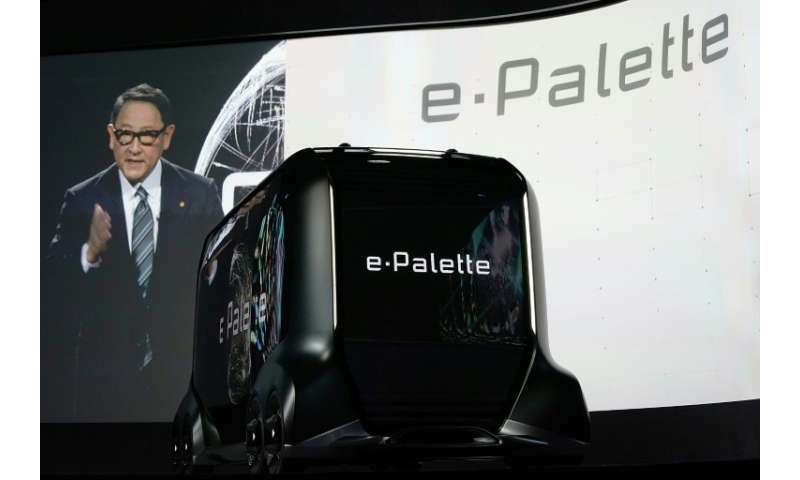 South Korea's Hyundai showed its new Nexo vehicle, betting on fuel cell technology, while Toyota unveiled a concept of an autonomous box for ridesharing and retail service. Even as car tech was on display, industry players sought to showcase alternative transport options. These included a self-driving motorcycle from Yamaha, and a range of electric bicycles, scooters, and hoverboards. "We are seeing with personal mobility that some people like to skate; some people like to scoot, and some people like to ride," Swagtron chief operating officer Andrew Koven said as he unveiled a line of rideable gadgets. The tech world took a deep dive into the medical field, using virtual reality and sensors for health and medical applications. Exhibitors showed how tracking and sensors used in self-driving cars can help keep the elderly from wandering off or determining distress. Other devices offered new ways to deal with stress and pain, or predict the onset of disease. Medical professionals at a CES conference discussed how new pain management techniques such as virtual reality could help address the opioid addiction crisis. Virtual reality headsets have been used to take people's minds off pain by immersing them in soothing environments. VR programs have also eased trauma by letting patients work through troubling experiences. Sensors, cloud computing and artificial intelligence are becoming so ubiquitous and affordable that they are popping up in tech items tailored for pets, babies, seniors, new moms and other niche categories. From wearable breast pumps to hip air bags triggered when people fall, and dog or cat doors that open automatically for pets, internet age innovations are reaching into the farthest corner of everyday life. Streaming television powerhouse Netflix played with people's minds with a booth for a fictitious company named Psychasec that offered replacement bodies in a promise of immortality. It turned out to be a promotion for a coming Netflix show titled "Altered Carbon," set to debut in February. Other offbeat items at the event included self-driving suitcases which follow its owners through airports and navigate around obstacles. Outside the official show, robotic pole-dancers made their Las Vegas debut at a nightclub, with the artist who created the devices seeking to make a point about technology, surveillance and voyeurism in today's society. The show was marked by a rain and flooding in usually dry Las Vegas, and a power outage in the main convention hall. AI: intelligence props, ego props... for the incapable and the insecure. Which there are a lot of. Which means the undoing of the human system of society and culture as it as been for untold millennia. Into the hands (control) of what, exactly? What price ....the unrealized instinctual aspects of fear, insecurity (doubt, indecision), and herd mentality?